“Jesus is a historical figure”. Um, maybe. “The story of Jesus is set in a certain historical period”, yeah. Given all the evidence presented throughout the past couple of millenia, most, if not all, prominent scholars/historians (of all faiths) agree that Jesus Christ did indeed exist. The main question that divides them is whether He really was who He said He was. 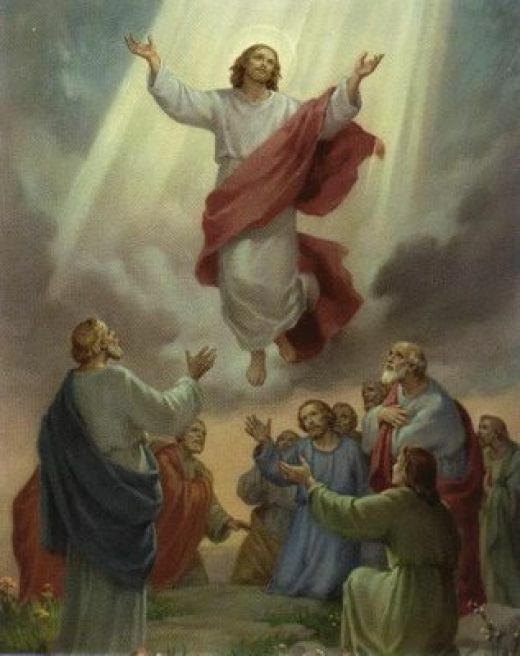 Additionally, many other individuals during Jesus’ time claimed to be a messiah, chosen one, what have you, but since only Christ’s story has been recalled and passed down for so long, with such profound effect/influence, do the scholar/historian circuit agree that there has to have been something really special, perhaps divine, about Him. In the end, it’s a matter of Faith. I would really hope that any bible student would know this fact…..so are you taking a stab at Christians….or at the “religious right” or what?! @Brooke……a quick google search will garner the non-biblical accounts of Jesus: Flavius Josephus, Jewish historian; Tacitus, Roman historian; Thallus; The Jewish Talmud; Lucian, the Greek writer; Pliny the Younger – are just a few examples. Jesus asked his disciples: “Who do they say that I am.” And at the end of the day – you also must answer that question. God bless you, and have a GREAT Easter. There are no first person accounts contemporaneous with his life. Most historians and biblical scholars believe the authorship of the Gospels do not directly correspond to the Apostles at all. John is known to be anonymous, and Matthew was not written by Matthew the disciple. Their authorship ranges from 30 to 80 years after Jesus’ death, and there’s no guarantee of anything remotely first or even second person about their source material. Furthermore, Alexander’s biography was based on earlier written accounts of his life and conquests by his generals Ptolemy, his historian Callisthenes, and various junior officers that wrote their own accounts of the campaigns as they happened. Ptolemy’s was started during Alexander’s last days, and completed when he was ruler of Egypt. I, personally, do not doubt the existence of the historical Jesus. However, the Gospels–especially Luke, which was not even written by a Jew, but an educated Greek–do not have the primary-source provenance that Alexander’s life and works had. Jesus, unfortunately, did not have a cadre of reporters who wrote of his carryings on. Thus, your comparison of Jesus and Alexander is a false one. John is anonymous???? Matthew was not written by Matthew the disciple??? You confirm that the Gospels were written 30 to 80 years after the death of Jesus….what other ancient text can claim that? How is it relevant that Luke was not a Jew rather an educated Greek….the bible makes no secret about that? Anyway, thanks for the discussion. No problem, I like the discussion. Even if the works of Alexander were lost, the biographies written by Plutarch and others cite them directly. There is no such notation in any version of the Bible. It’s not the author’s fault: they never thought that historians, scientists, scholars and theologians would be fact-checking. The statements about John, Matthew, Luke and the dating of the Gospels are backed by a consensus of the majority of biblical scholars, historians and theologians of every denomination. John is attributed to John the apostle, but there’s no majority opinion as to the real authorship: it was considered anonymous. Matthew was written by someone named Matthew, but there is little evidence that it was matthew the tax-collector who was the disciple of Jesus. Luke’s non-Jewishness, to a historian, is incredibly relevant: how many educated (i.e. either rich or enslaved Greek) non-Jews would a poor woodworker from Nazareth have known in his lifetime? It is agreed among scholars that Luke was a later Greek convert: the Gospel in the original Greek is too elegant and scholarly compared especially to the earlier Matthew or Mark. How could Luke have the primary-source evidence that the apostles had? Furthermore, can you substantiate your claim about 1 Corinthians 5? Especially since 1 Corinthians is usually dated to about 55 AD, and Paul’s conversion is dated no earlier than 3-5 years after Jesus’ death itself. I’m not out to disprove the Bible. I never was. I AM passionate, however, about holding the books of the Bible to the same standard as any other historical text. As a book of faith, it is beyond discussion: you either believe it or not. From you website, I take it you are a person of deep faith, and I applaud that. To give perspective, I am a skeptical Roman Catholic who studied theology and biblical literature in a Catholic university under priests of the Jesuit order. I believe, to be sure, but I also understand the need to combine the history with the theology. Discovering these historical inaccuracies should in NO WAY be seen as an attack on the Bible or Jesus–in fact, it should enhance your faith that such ideas and beliefs have affected the hands of so many people in various ways (though not necessarily of the same author). In sum, I see the books of the Bible–and the Gospels–as inspired by the Almighty. Yet they were written by humans, deeply flawed humans with their own agendas and prejudices. Nonetheless, every one of them has been inspired by the same basket of beliefs. And its those beliefs, and ideas, that do not change. Thanks for commenting, and have a Happy Easter!